The South Island is all about drama. 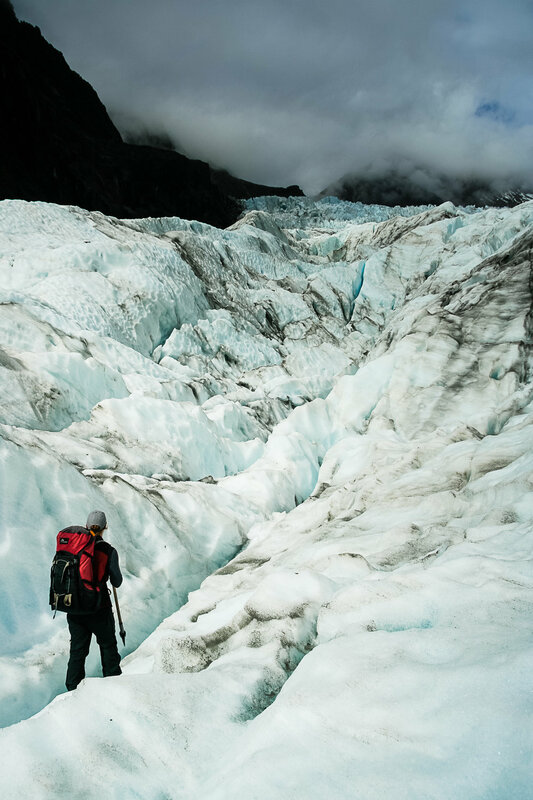 Fox Glacier is an impressive thing. Its face (terminal, geography fans) rises about sixty feet off the floor of the valley, and rises over eight thousand feet into the southern alps. 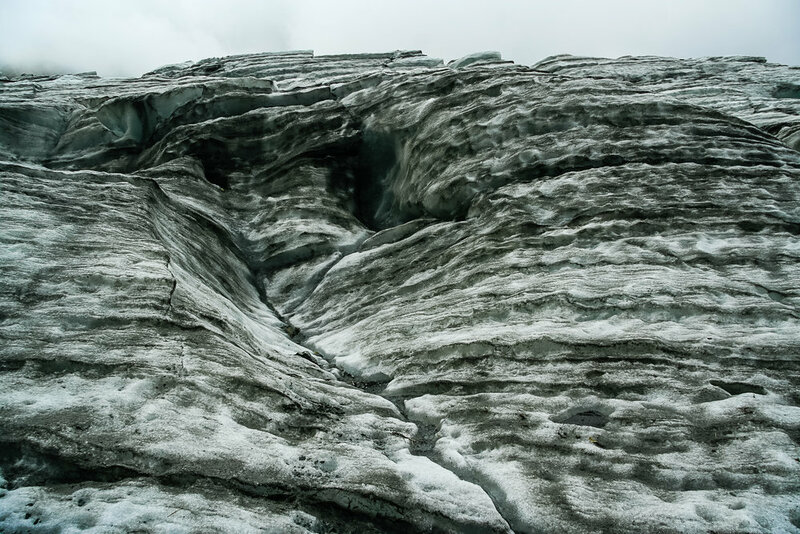 The ice flow itself is thirteen kilometres long, and the terminal can move up to four metres towards the Tasman sea per day, which in glacier terms is positively supersonic. You can't go near it without a guide. 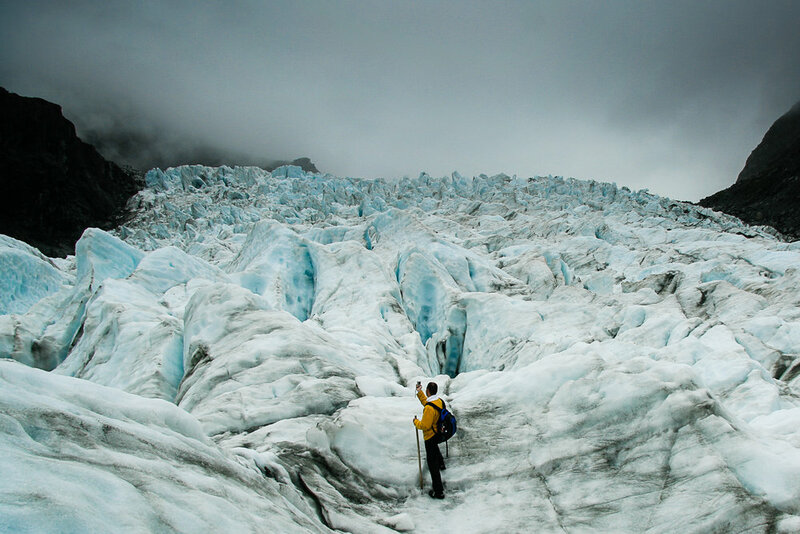 Glaciers are tricky things for the unwary. The biggest challenge was actually the temperature. In the sun – go on a day with good daylight, not cloud, to get the most from the blues in the ice – you sweat profusely as you clamber over the ice. Dip into the shadows and the sweat freezes. Wear clothes that breathe.